Download “Learn Chinese – HelloChinese” right away, and start to learn Chinese language and speak Chinese Mandarin anytime, anywhere!NOTE: The main course is completely FREE forever. 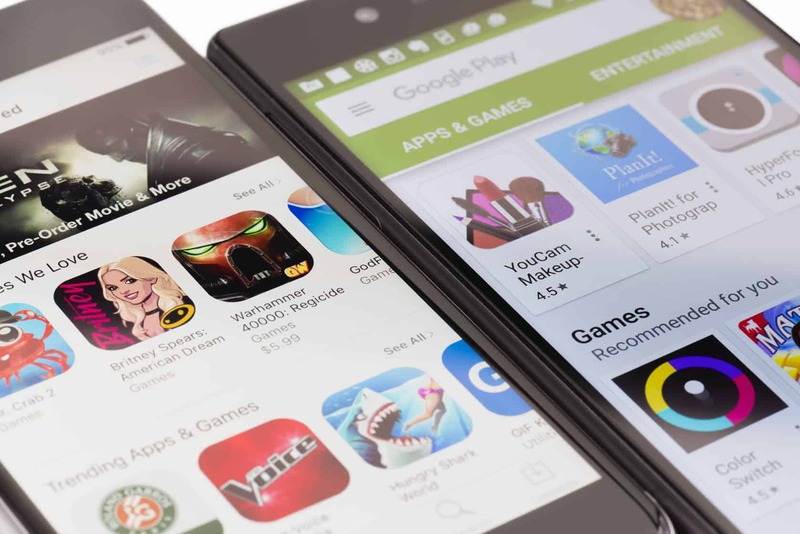 This app offers an OPTIONAL Premium paid subscription in addition to the free learning experience which grants you access to FANTASTIC games. – Game-based Chinese Mandarin learning: You will never get bored. – A well-designed Pinyin (Chinese pronunciation) course for beginners. 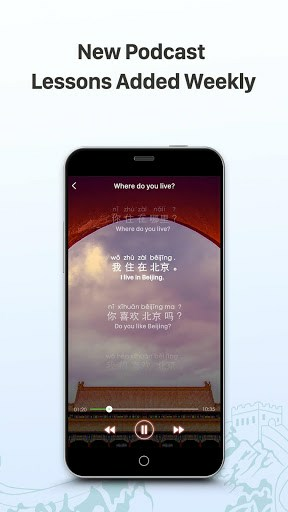 – Speech recognition corrects your pronunciation and makes speaking Chinese a breeze. – Handwriting specially designed to make learning Chinese characters at a faster rate. – Personalized daily training games adapt to your unique performances and get you fluent much faster. – Systematic courses based on HSK levels. – Bite-sized curriculum to fortify your Chinese listening, speaking, reading and writing skills. – Simplified and traditional Chinese character are both supported. – Offers standard Chinese Mandarin audio spoken strictly by native speakers. – Displays Chinese as pinyin or characters as you like. – Offline learning: Once a course is downloaded, no internet connection is required. 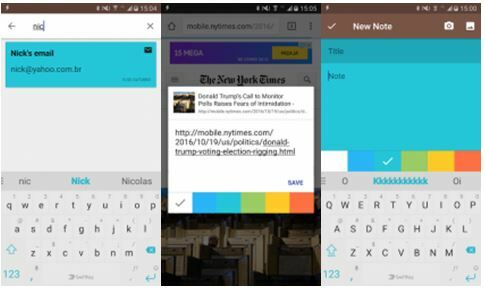 – Study progress tracking across multiple devices. – Learning Chinese Mandarin is too difficult. 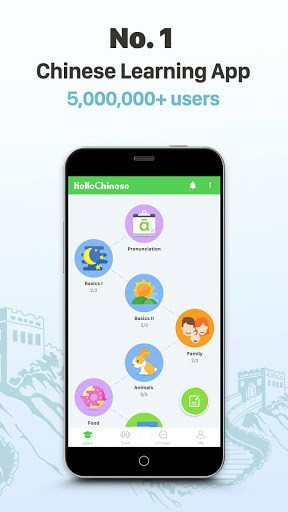 Just try out HelloChinese! The curriculum has been designed with a learning curve in mind. Simply follow it and you’ll be mastering Chinese in no time! – I lose motivation too easily. Our app offers bite-sized, GAME-based lessons for you to learn Mandarin. Each lesson only takes 10 minutes to complete and utilizes interactive and diverse question models to keep you hooked. You can learn Chinese Mandarin anytime, anywhere and never get bored. – I can’t improve my speaking skills without a teacher. YOU CAN! This is the most exciting part of the app! 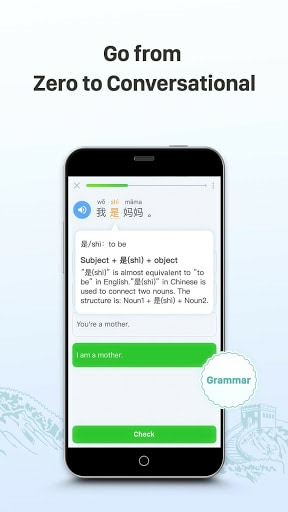 Accurate speech recognition corrects your pronunciation and you’ll find learning to speak Chinese has never been this easy and fun! – Chinese characters are too hard to learn. 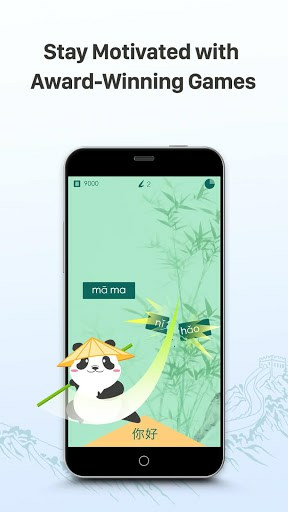 Our app uses cutting-edge Chinese handwriting technology to help you write characters using your finger. 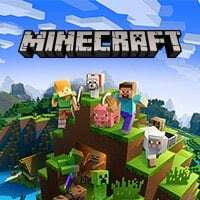 In addition, interesting explanation of radicals and components is provided for every character which further enhances your character learning ability! – Added 1000+ new short videos – all featuring authentic Chinese speakers!